Stavros Damos is a Greek illustrator who uses his characteristic caricature style to render famous creatives. We love how expressive these illustrations are – really bringing the characters of the subjects to life. Check out more of Stavros Damos’ work here. This entry was posted in Illustration and tagged Illustration, Stavros Damos on July 30, 2014 by stellenboschacademy. What better way to hide you guilt than with flowers? These ads for Kanukte Flowers by TBWA\Istanbul Turkey bring that sentiment to life with stunning art direction and illustration. This entry was posted in Art Direction, Illustration and tagged Art Direction, Illustration, Kanukte Flowers on July 28, 2014 by stellenboschacademy. These ads for Boxman by M&C Saatchi Abel Jo’burg are so simple and so clever. They tell a great story – if you don’t get boxes from Boxman, your beloved items could easily get broken in transit. This is told by using a crack that looks like a route from one house to another – so clever! This entry was posted in Art Direction and tagged Art Direction, Boxman on July 25, 2014 by stellenboschacademy. These beautifully art directed and illustrated print ads for Omo in Turkey, by Lowe, tell a great story that embodies Omo’s brand positioning. With the line ‘Dirt makes good stories’, these ads take fairy tales we know and love and remind us there is no way they could have happened without our favourite characters getting a little bit dirty along the way. They are just so much fun to look at. Truly great work. This entry was posted in Art Direction, Illustration and tagged Art Direction, Illustration, Omo, print on July 23, 2014 by stellenboschacademy. We love these ads by Ponce from Buenos Aires for Axe’s new range of Black Perfumes. With an irreverent take on fashion photography and a fun message that is on brand with Axe – these really are fun. And at the end of the day they do a great job of telling the story of the brand – if you wear their products, you’ll look (and smell) great, no matter what you’re doing. 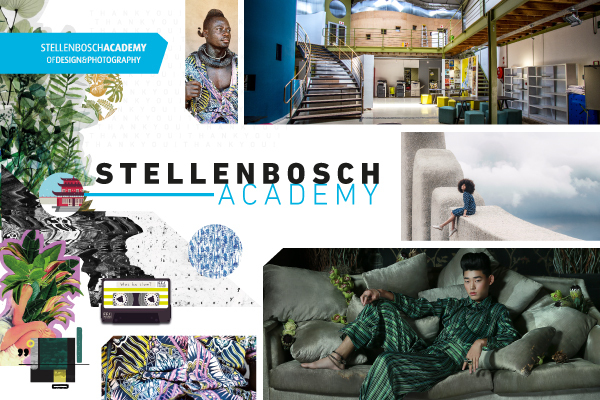 This entry was posted in Art Direction and tagged Ace Black, Art Direction, Fashion on July 21, 2014 by stellenboschacademy. Gustavo Berocan is a journalist and designer from Palma de Mallorca in Spain. We love this work he did celebrating the beautiful game. Designing a type face around football. No mean feat! Is it too cheesy to say he scored a goal with this one? For more of Berocan’s work, have a look at his website, which you can find over here. This entry was posted in Design, Illustration and tagged Design, Gustavo Berocan, Illustration, Typography on July 18, 2014 by stellenboschacademy. WWF – Stop One. Stop Them All. These ads for WWF by Leo Burnett Australia have all the elements you want from great print advertising. Great art direction, interesting concept and memorability. It’s good to see as well that they are not purely relying on shockvertising to get their point across. Great work for a good cause. This entry was posted in Art Direction and tagged Art Direction, print, WWF on July 16, 2014 by stellenboschacademy.